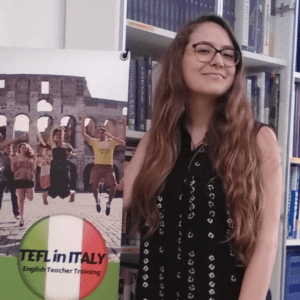 Looking for a TEFL course and TEFL jobs in Italy? At TEFL in Italy we care about our graduates and help you find the best job possible. There´s is a big demand for English teachers in Italy. Compared to other European countries, the level of English here is quite low, so Italians need to improve their English in order to find a good job in Italy or abroad. This means there are plenty of TEFL jobs in Italy! The most important part of getting TEFL certified is finding a job when it’s all over. We help you throughout the 4 weeks and beyond to develop a foundation to be successful in the TEFL job market. During the course we provide input sessions specifically designed to help you in these areas. The input sessions provide you with information and tips about finding employment in your preferred area. Throughout the course you will be required to participate in observed teaching practice, which will give you invaluable experience when contacting potential employers. Upon successful completion of the course, you will be awarded with a certificate from Trinity College that will give you the upper hand when searching for a position in Italy and worldwide. At the end of the TEFL course you will be presented with an official letter of recommendation. And, of course, we will act as referees for you! TEFL in Italy is contacted on a regular basis for job offers targeted at our graduates. We collaborate with these local language schools and help you find a job by putting you in contact with them. These offers are shared by e-mail. We will give you various resources including access to our database of schools in Rome to make your job search more efficient. Following us on Facebook and Twitter will also provide you with an excellent source of job vacancies. Continuing education is important in teaching which is why we offer teacher development courses throughout the year including Young Learners and Business English classes. We also offer Italian classes for those who are interested in brushing up on their language skills. Our aim is to help you succeed! If you have any questions regarding our career services, please contact us at info@tefl-in-italy.com.